If you or someone you know has a diagnosis of dementia, you’re likely to have a lot of questions. Hear from real people who had questions of their own, and read how our specialist staff answered them. Q: “A friend of mine is 46 and has just received a diagnosis of dementia. Although I had noticed some changes over a period of months, the diagnosis came as a shock to all of us, including her of course. There have been some changes in her behaviour and outlook that are making it hard to relate to her. I’m now finding it hard to talk to her, and don’t know how to support her through this. A: The diagnosis of any illness in a friend is a traumatic time for all involved, particularly when it is unexpected. We’re just starting to learn more about dementia in younger people (known as younger onset dementia) and how it impacts them and the people around them. What we know so far is that the biggest impact is the loss of networks – many people with this diagnosis can no longer work, or fulfil the roles that they used to, and this can make them feel isolated and that they are a burden on their family and friends. There are also the practical implications of the person’s personality changing to some extent, which can affect relationships. Remaining socially active & connected is very important in managing dementia symptoms, so the best thing you can do is to let your friend know that you are there for her, spend time with her and support her with other responsibilities such as caring for children or getting to medical appointments. ACH Group has experience in supporting people living with younger onset dementia, helping them to maintain or rebuild relationships. We are currently running a golf group, art group and can tailor any services to suit. We are registered for NDIS and we’d be happy to discuss options with your friend – call us on 1300 22 44 77. A: ACH Group has long been leaders in supporting people living with dementia, and as the number of people living with dementia in residential care is growing, this continues to be an important focus for us. We pay a lot of attention to training staff to deal with issues arising from the symptoms of dementia, and have a dedicated team that supports our staff to do this. It is important to be aware of what may trigger some behaviours; avoiding them if possible, or having detailed strategies to manage them should they occur. In our residential homes a dementia consultant is available to implement behaviour management plans and provide the staff with “on the floor” coaching and mentoring to ensure the plan is implemented and communicated effectively. We also ensure that external services that specialise in dementia care are involved, to ensures that we have provided a holistic approach to behaviour management to achieve positive outcomes for the person living with dementia. Knowing WHO the person is remains a strong focus for staff who are encouraged to find out for themselves, as this is the basis for person centred care and is the foundation for individualised behaviour management care plans to be implemented. As well as dementia experts on staff who have specialist knowledge and skills to support people living with dementia, all of our residential care homes adopt a Healthy Ageing approach, encouraging residents to remain as active and independent for as long as possible. ACH Group’s innovative approach to dementia care includes the Hen Power creative ageing program, exercise to music, art classes and social connections. We also find that the environment can have a large impact, so ensuring they are in a calm setting is vital, as well supporting them to have a role and make a contribution, participate in meaningful activities, and be social. It really does all come down to training staff, effective policies and procedures, and careful monitoring as to the most effective strategies. Find out more about dementia support in our residential care homes by listening to a Podcast featuring ACH Group Dementia Consultant Jodie Roberts. Listen here. A: There are a lot of causes of memory loss which can be treated and need to be investigated and eliminated first before a diagnosis of dementia is even considered. It is advisable that you and your mum organise a consultation with her GP to discuss symptoms and a treatment plan. 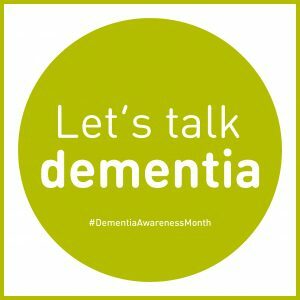 A diagnosis of dementia can open up the opportunity to consider treatment options which may be available, gain information in how to live well with dementia, educate family members and the person with the diagnosis in how to manage these changes and make adaptions to their lifestyle and plan for the future. This can include getting legal documents called Advance Directives in place to assist in appointing people you trust to make future decisions about your money, health, lifestyle and end of life matters. ACH Group also has a designated Dementia Specialist Advisory Service. If you are interested in a personal consultation phone us on 1300 22 44 77 to speak with Teresa or Katrina.